Split the payment over 13 weekly payments of $67.62 Shipping & returns info Free shipping! 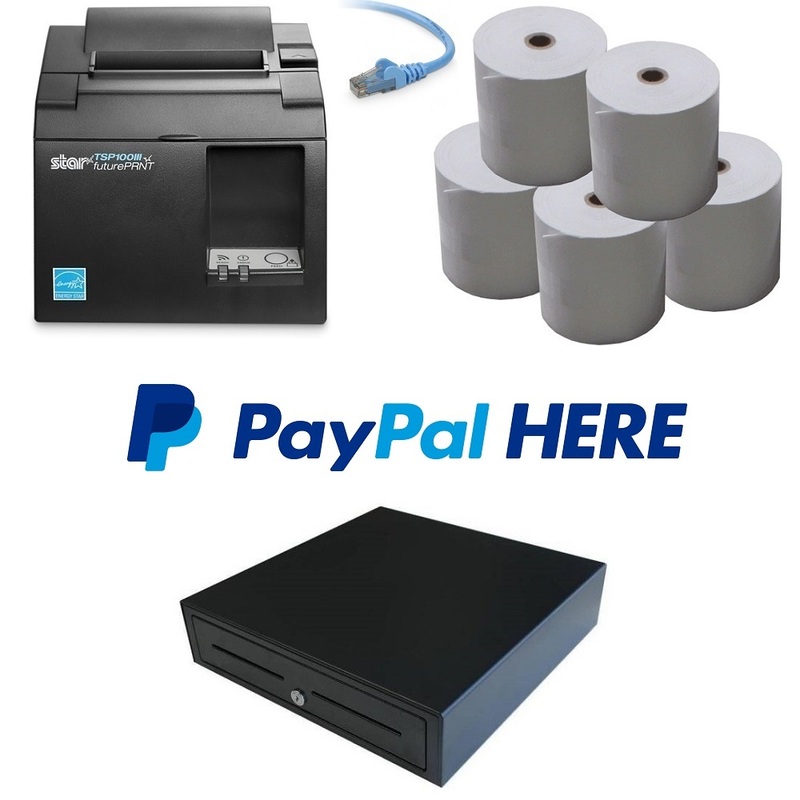 PayPal Here POS Hardware Bundle 2 consists of the Star Micronics TSP654II Bluetooth Thermal Receipt Printer, Heavy Duty Cash Drawer & Box of 80x80 Thermal Paper Rolls (Box of 24). Compatible with iOS (iPhone / iPad) only. 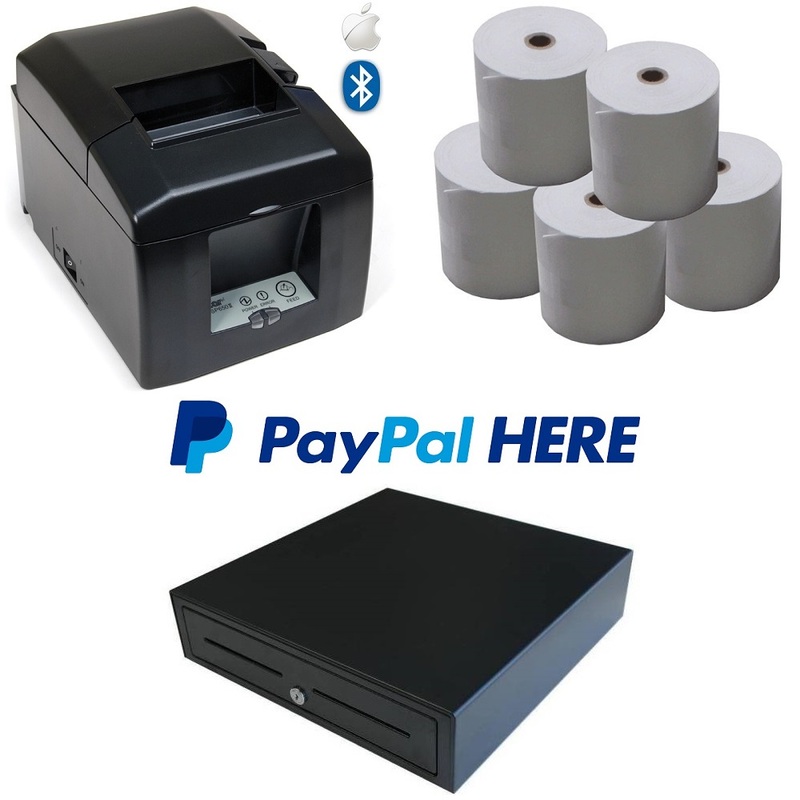 PayPal Here POS Hardware Bundle 2 - Star TSP654II Bluetooth (Wireless) POS Printer, Cash Drawer & Box of Paper Rolls. Compatible with iOS (iPhone/iPad). The Star TSP654II boasts a lightning fast print speed of 60RPM (receipts per minute) (300mm/second). The TSP654II also features an improved Guillotine Cutter (2 million cuts), easy ?drop in and print? paper loading and a small footprint.